See what my past couples have said about me below. 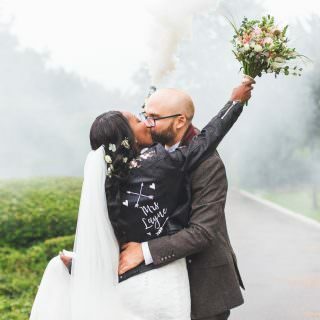 “Thank you so much for capturing the best day of our lives! 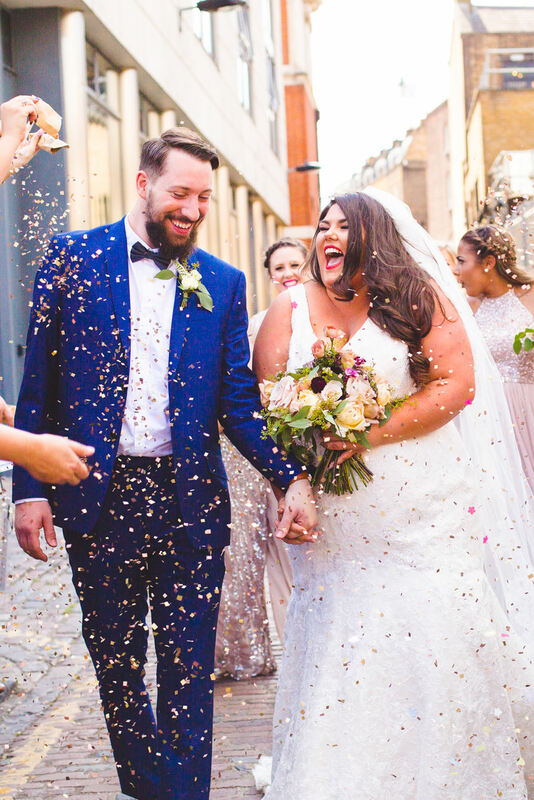 Our wedding day was so amazing but went so quickly, we just wish we could do it all over again – so having your beautiful photos is the perfect reminder of all the love, tears, laughter and sheer joy! You were really lovely to work with all the way through the process, from the initial Skype chat to the pre-meet and the day itself. You’re very professional yet so fun and friendly that you made us feel totally at ease in front of the camera on the day, and our guests all thought you were lovely too. 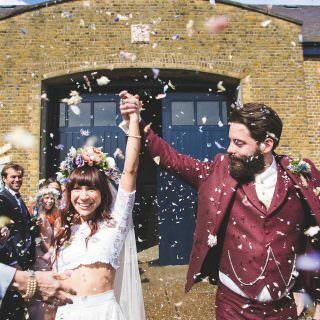 We initially chose you because we loved your natural, fun and alternative style of wedding photography – and we’re so glad that we did because aside from the beautiful photos which we’ll treasure forever, you were a wonderful person to have around on the day. I don’t even know where to begin! You have genuinely made my life! What you captured was the absolute joy of our day, the sometimes shocking faces I make and the love in my parents eyes. I cried, hard, going through them the first time and then again with James (I couldn’t wait I am so selfish hahaha). You are genuinely a magical photo fairy that has made me feel so wonderful about myself; I have always been so concerned with angles and “not from there you’ll see my tummy!” or “higher up you’ll see my double chin!” and not letting people take photos of me front on because of my moon face, but all of that melted away! Kirsty you made me look the best version of myself and for that alone I cannot thank you enough for that. You made James, myself and all of our friends and families feel so unbelievably comfortable. There was no awkwardness! I’m probably going to spend every penny I make for the foreseeable future on photos and frames so for that, I hate you! You are such an incredibly talented lady and the love I feel for your work and you is genuinely overwhelming! Thank you, thank you, thank you, thank you, thank you!! They are INCREDIBLE. We were both moved to ridiculously happy tears. You have really captured every single precious moment, and many more we just weren’t able to absorb on the day itself. Stunning photos of a stunning day (I still can’t get over that blue sky and sunset). We can’t thank you enough and are so grateful to have had the opportunity to have you and Greg join us up in Orkney. 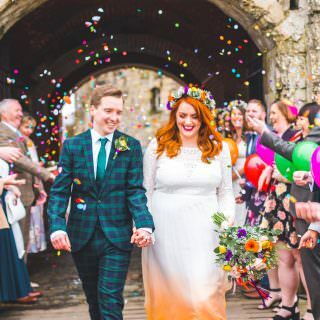 “You can tell a lot from a website and we knew immediately that Kirsty was right for our wedding day. 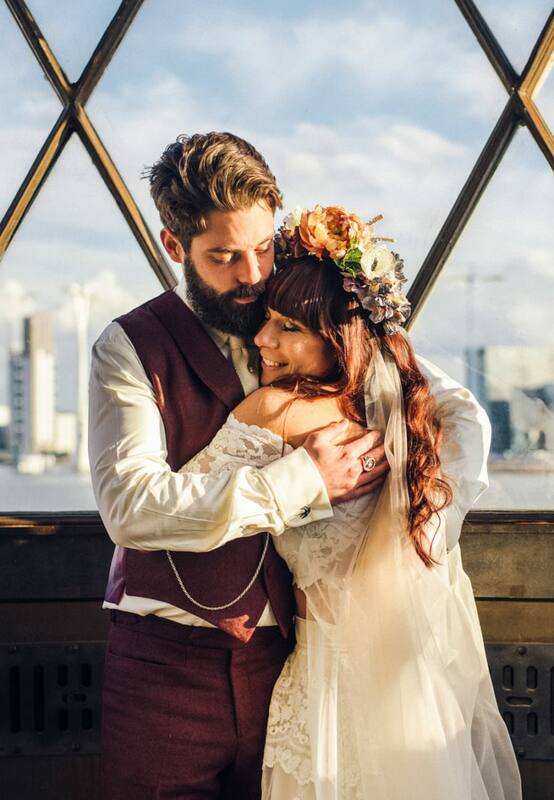 Our initial search was alternative wedding photography and Kirsty was one of the top matches. As soon as seeing one of the weddings from her portfolio it was clear she had the eye we wanted. The way she captures peoples emotions combined with the energy is great! From day one communications were very easy including meeting for a coffee to discuss our ideas. We got on very well and could have spent hours chatting. Deposits, paperwork and payments were all clearly outlined and agreed and we organised a pre-wedding call to finalise the finer details. On the day, as we expected, Kirsty was on time, well-prepared and a pleasure to have at the wedding almost to the point she was like a guest. She blended perfectly in to the day and as we requested, organised the shots we pre-discussed. 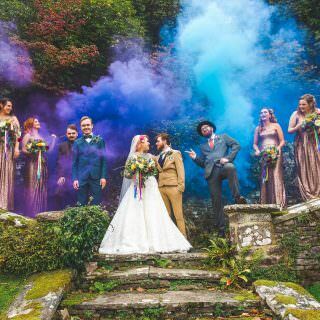 With a few extra ideas plus the great use of the smoke grenades it all went amazingly! 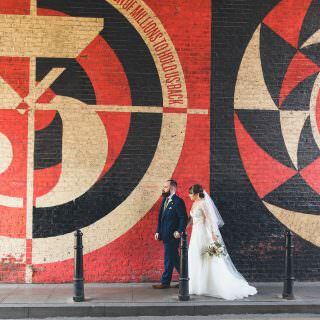 After some teasers and instagram posts after the wedding, a few weeks later we had our sneak peak of the photos which told an amazing story of the day and we were so happy with the result. Excited to see the full package it was sent a few weeks later and it absolutely lived up to our high expectations, along with a beautiful box, some treats and with her personalised memory stick. “Kirsty was an absolutely fantastic wedding photographer. She arranged a pre meet before the wedding which was a great idea as it meant she was a familiar, friendly face on the big day. She worked tirelessly all day yet she was never intrusive, you didn’t really notice she was there but all our guests commented on how hard working and lovely she was. We really liked her creativity and her desire to capture fresh and interesting images which meant that our photos were personal and original. I don’t usually enjoy posing for photos but I never really felt like I had to with Kirsty, she had such a natural and relaxed approach and was great at capturing natural poses and reactions. We were absolutely thrilled with the photos! After the wedding we received the photos on a USB in a lovely wooden keepsake box. Our only regret was that Kirsty could not come on our honeymoon to be our official honeymoon photographer! “What can I say about Kirsty? Well firstly, before anyone reads the rest, the first line is the most important right so, KIRSTY IS AWESOME! (I think it about sums it up but I will continue). I (the bride) and my husband had very different ideas about photos before we got together. I personally love photographs being able to look back at memories and had a keen amateur interest in portrait photography. Ashley wasn’t so bothered about photos as he didn’t have many of him as a youngster and just thought I was sentimental for no good reason! Yet as our relationship progressed and particularly when we had our daughter, he saw how special it was to have photos, how important it was for our little girl to be able to look at memories of her life so far and recognise her family members and friends and for us to have moments to look back on to show us how we had gotten to this point. By the time we got engaged and were thinking about what we wanted for our day, it was important that we got a photographer that was able to encapsulate us as a family. Our mad bonkers family that can’t pose to save their lives. 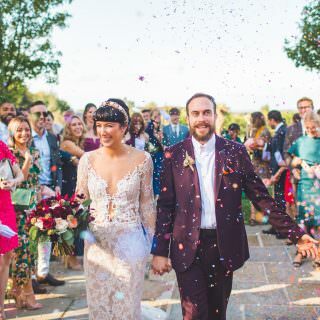 Our wedding was simple in essence, no fancy frills, just a lot of food and drink and colour and we needed a photographer that could get all of that, blend in and most importantly feel comfortable enough to join in. And that was Kirsty. When I stumbled across her profile on social media, how she captured the fun and love of a day is what caught me. What caught my husband was her use of the natural light and features around to make the photos more real, like moving images caught in one still moment. 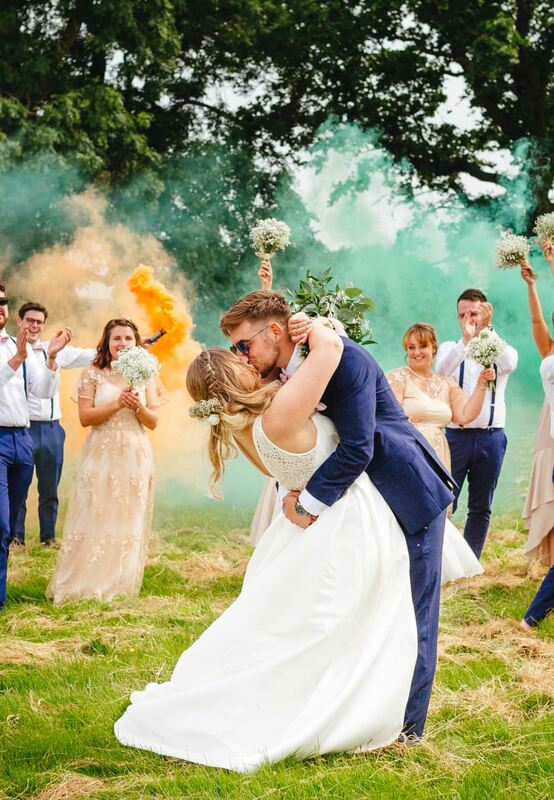 “Kirsty creatively captured so many special memories on our big day. We’ve had so many compliments and Kirsty was nothing but professional, easy going and fun to work with on the day. Thank you so much for being our photographer!